English missionary to China. Founder, China Inland Mission. Spent five years translating the New Testament into the Ningpo dialect. At his death in 1905, there were 205 stations with 849 missionaries, and 125,000 Chinese Christians in the China Inland Mission. "He must move men through God — by prayer," that was the philosophy of J. Hudson Taylor, first missionary to the interior of China and the founder of the China Inland Mission. And from that December day when as a teenager he heard from Heaven, "Go for Me to China, "this young Englishman set out to prove his philosophy. That he did so successfully and miraculously makes for some of the most exciting reading in the records of evangelism. After his call Taylor first moved from the comforts of his home with his parents and two sisters in beautiful Barnsley of Yorkshire to Drainside, Hull, a poverty-stricken, depressing area named after and notorized by its foul ditch. Taylor had gone there purposely to work for a doctor and accumulate a little medical knowledge, and also to accustom himself to something of the loneliness and dangers of living in a strange land where his only companion would be God. It was at Drainside Taylor learned one can trust God with his last cent. He had been called out late one night to witness to and pray over a sick woman with starving children. As he tried to pray, his words choked in his mouth because he had in his possession a silver coin that would answer his prayer and alleviate their sufferings somewhat. "Hypocrite!" he heard his heart condemn him. "Telling people about a kind and loving Father in Heaven — and not prepared to trust Him yourself, without your money!" He gave them his last coin -- only one bowl of porridge between him and poverty! As he ate that last meal he remembered the Scripture, "He that giveth to the poor lendeth to the Lord." The next day he received a package. In it was a gold coin — worth ten times the silver coin. Taylor cried out triumphantly, "That's good interest! Ha! Ha! Invested in God's bank for twelve hours and it brings me this! That's the bank for me!" Thus at nineteen years of age, Taylor learned he could trust and obey God in every area of his life. There were many lessons to learn, but at the first he learned that a man can take God at His Word. Three years earlier he had taken Christ and trusted Him as his Saviour. At sixteen years of age Taylor had already been disappointed and sated with life. He found the religious life of his parents very dull, although he attended church very dutifully with them. He really desired horses, hunting, luxuries. Alone at home one day he looked for something to read. He picked up a gospel tract and began to read it. At the very same moment seventy miles away his mother was earnestly praying for her son's salvation. That same day Taylor prayed — his first prayer — and it was answered. He was converted to Christ! Praying! And answers to prayer! That became the passion of his life. He learned to move men through God by prayer. He asked no man for any material thing. He laid all needs before his Lord. That doctor he had worked for at Drainside had suggested to his young assistant, "Taylor, please do remind me when it is time to pay your salary. I'm so busy, you know, I'm quite likely to forget." And forget he did. But Taylor remembered that in China he would have no one to ask anything of, only God, so he simply asked God to remind the doctor. Three weeks later the doctor remembered — but only after he had banked his money. Taylor was broke. It was Saturday. He had no money to pay his rent. He had no money for food. He prayed as he worked until ten o'clock, glad he would not have to face his landlady. As he prepared to leave, the doctor surprised him, "What do you think? One of my patients has just come to pay his bill! He's one of my richest patients and he could have paid me by check anytime. Yet, there he is, bringing in the money at ten o'clock on Saturday night." Then he added, "By the way, Taylor, you might as well take these notes. I have no change, but I can give you the balance of your salary next week ... Good night!" Taylor's prayers were answered. He could not only pay his rent, he had money in hand for weeks ahead — but more than that, he had proven again: God answers prayer and moves men. He could go on to China! And he did! There were storms at sea and miraculous deliverances in that five-and-one-half months' journey to China. There was civil war when he landed at Shanghai, rebels holding the city. Fires, famine, fearsome circumstances were fought by the young missionary on his knees and God delivered him. And at the age of twenty-two, eight months a missionary, he also found himself responsible for supplying the needs of newly-arriving missionaries, the Parker family. Taylor ministered in the river towns, married a wife and saw many miracles in converted Chinese. But on June 25, 1865, he made his move to minister to the millions of China "West of the Mountains, South of the Clouds, North of the Lake"--Inland China. At Brighton, England, on furlough, he opened a bank account: "Ten pounds" (Fifty dollars) in the name of "The China Inland Mission." His initial goal was twenty-four workers. The next May the twenty-four sailed. Then there were seventy more. And another hundred. And finally more than eight hundred missionaries ministered across the far-flung miles of China's interior. Truly this man of faith and fortitude had mastered in the ministry of moving men through God by prayer. 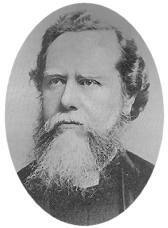 J. Hudson Taylor died in 1905, before the communist takeover of his beloved China. His days were days of extensive and effective evangelism. Multitudes of converted Chinese will rise up in Heaven and call him blessed. And many Christian workers whose lives were challenged and changed by the contagious Christian character of Taylor will follow in their train. *Copied with permission for WholesomeWords.org from Profiles in Evangelism by Fred Barlow, Sword of the Lord Publishers, ©1976.